Edge Digital is a digital marketing start-up consultancy focused on the gaming, technology, and mobile spaces. The company was helping clients solve very specific ad fraud issues—usually analyzing massive volumes of disparate data. With a lean team in a competitive industry, they had to look for a reliable data analysis tool that sped up problem-solving. Leveraging Tableau, Edge Digital can now get accurate insights from their data, very quickly. The team has also adopted Tableau for their day-to-day market research and analysis work. Today Edge Digital provides clients with deep, data-driven insights, faster than ever before. Edge Digital uses line charts to show change over the course of multiple weeks. Edge Digital collects up to five gigabytes of data every two weeks in the form of CSV files. The business receives this data from multiple sources, such as Google applications, iOS applications, and 50 advertisement publishers. The challenge? Employees needed to validate the data and effectively blend it for insightful analysis. To respond to clients’ needs, they also needed to be able to quickly understand the data and relay useful information in a timely manner. Edge Digital helps clients solve or avoid ad fraud issues that creep into the relatively new digital-advertising space. In this line of business, the company needs to be able to address serious compliance issues. Edge Digital uses data to quickly resolve issues, helping them stay successful and competitive in the industry. As a start-up with a very lean team, Edge Digital also had to constantly consider resource-allocation time, manpower, and costs to ensure they were staying efficient and productive. The team did not have the luxury of spending weeks looking for a solution to help their clients solve one problem. Additionally, the team also wanted to find a more effective way to present their findings to clients. Founder, Lai Tuck Weng, used Tableau in a previous role before introducing it at Edge Digital. Lai Tuck Weng, Founder of Edge Digital, used Tableau in previous roles at other companies to solve similar data problems. He remembers finding Tableau the most affordable and efficient tool, perfect for meeting his challenges at his current startup. At Edge Digital, Tuck Weng realized that he needed to find an analytics solution that could help solve the pressing compliance concerns—one that was also scalable for his growing business. “I needed a reliable tool that can quickly and easily help me solve big data challenges for both my company and clients. I was looking for something without complex theories or the need for engineering support,” said Tuck Weng about his reason for deciding on Tableau. 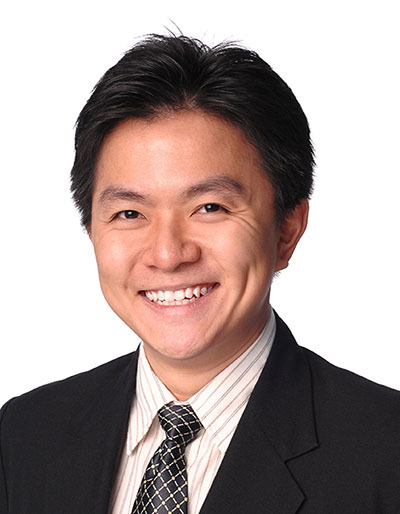 As the main person interacting with the company and client data, Tuck Weng could start gathering insights within days of integrating Tableau into existing work processes, with the help of Tableau’s online community and training resources. As a Tableau customer for almost two years now, Edge Digital has since purchased two seats of Tableau Desktop and the team has fully adopted Tableau in day-to-day market research and analysis work. Speed to insight has been one of the biggest benefits of using Tableau. A client request that used to take up more than half a day can now be answered within five minutes. 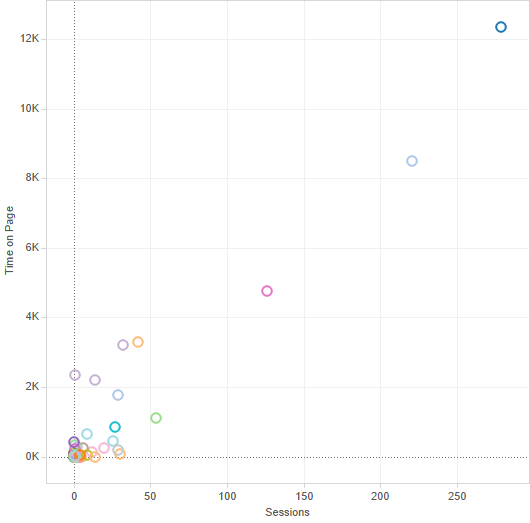 Scatter plots quickly highlight top performers, showing the correlation between successful campaigns. Since implementing Tableau, Tuck Weng’s team has managed to improve speed to insight, resulting in more meaningful conversations and better relationships with clients.